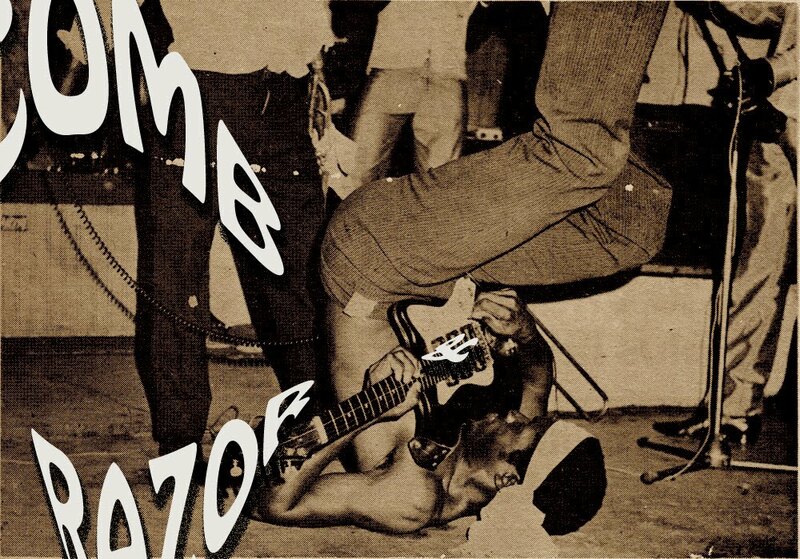 This song been in my head all week: Joe Arroyo - "Rebellion (No le pegue a la negra)"
Of course, this song is in my head like 60% of the time, anyway. Feels like an eternity since I've blogged with any regularity... It's been a lot of work, a bit of play... and some other stuff. Hope to be back soon with more niceness. Thanks to John B. for furnishing us with this mp3 of Oliver's biggest hit, "Identity"
Sorry I was so slow on the uptake identifying this song when N.I.M.M.O. mentioned it in the comments... Of course I remember "Highlife" (I too used to think it was called "Nebo"); this song was everywhere back in '83! Also, I apologize for my silence over the past week or so; Internet's been on the fritz at the Comb & Razorcave, but we're all good now. The Sylvers - "Wish That I Could Talk To You"
Africa will never, never, never, never, never, never, never, never, never surrender! American disco music has taken over Africa. During the days of Victor Olaiya, the Uhurus, the Ramblers dance-bands there was jazz music from America. Then there was pop music. It never gave us musicians a chance to move out. And you know with Africans, anything that comes out of England is a gas. Then during the time of Victor Uwaifo and Fela there was this soul music. I always remember that one day Victor Uwaifo printed some handbills saying that no one should listen to soul music. But I think that soul music is like our aladura (praying) songs--it's a spiritual music. But they came down and took the business from us. Now these days we have funk, but I'm not lying low and I won't let it take garri from my hands. So I have decided to create my own type of African disco music. Believe me sincerely, it is catching on like wildfire. This music we hope to export to America and England. 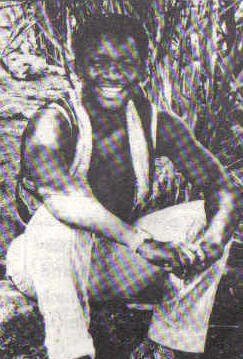 When Sonny Okosuns started his music career with The Postmen in 1966, the chief models for his look and sound were overseas rock & rollers like Cliff Richard and Elvis Presley. However, by the beginning of the 70s, as he fronted Paperback Limited, he found himself becoming increasingly dissatisfied with merely recycling Western pop and desired to play more African music. The rock-loving, postwar youth audience was not really trying to hear a lot of that stuff, though. As Okosuns explained to Gary Stewart, the kids loved when he did the "copyright" tunes, but zoned out when he tried to introduce new, indigenous-inspired sounds: "I got all the youth, you know, who were so much interested in undergound [rock], but I lost them when they started listening to the kind of music I was playing. I wasn't playing the ... Jimi Hendrix kind of music or the Who or the Kinks kind of music.... That's what the youth wanted to hear.... I was in the crossroads. I was winning one way but losing in many ways." 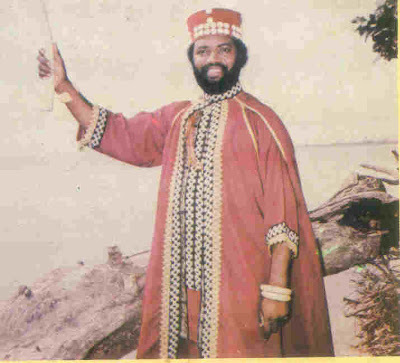 It was with this dilemma in mind--how to appeal to audiences desiring the latest sounds from foreign without surrendering his African identity--that Sonny formed Ozziddi in 1974, pairing folkloric lyrics, rhythms and melodies with cutting edge rock arrangments to enormous success. 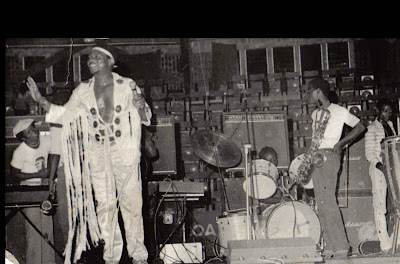 Sonny's friend Fela Ransome-Kuti arrived at a similar resolution with his development of afrobeat--but where Fela stubbornly stuck and continued to purvey his patented style long after its soul, jazz and Latin elements fell out of favor, Okosuns never, never, never, never, never, never, never, never, never surrendered. He kept searching for new ways to keep his African music competitive with the current hot sound, be it rock, reggae, makossa or calypso. By the time that I personally discovered Sonny, he was in his "Ozziddisco" period, so for me this sound remains the definitive Sonny Okosuns sound. Back then, I thought it was just some dope dance music, but listening to it now, I realize how cannily crafted it is. It can blend in easily with any of the disco stompers of the day, but it doesn't ape disco; the essentially "African" character remains intact. Both of these tracks are from the 1979 album 3rd World, which I just now realized was entirely produced by Eddy Grant. And speaking of which... I was able to get an mp3 of Eddy Grant's "Papa's Land" remix (courtesy of Naijajams--thanks, Bobo!) so I'll post it here, along with the original version.